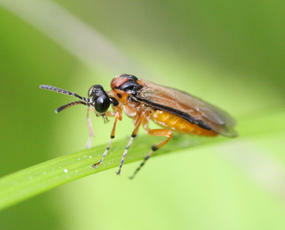 Length is about 7-8 mm. This species is relatively easy to identify, with an orange thorax, abdomen and legs contrasted with black head and 'shoulder pads'. 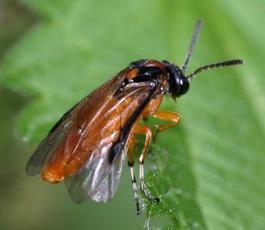 It also has an obvious black front edge to its wings. 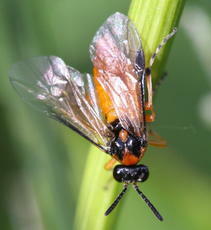 The abdomen is thick; pointed in female, rounded in male. 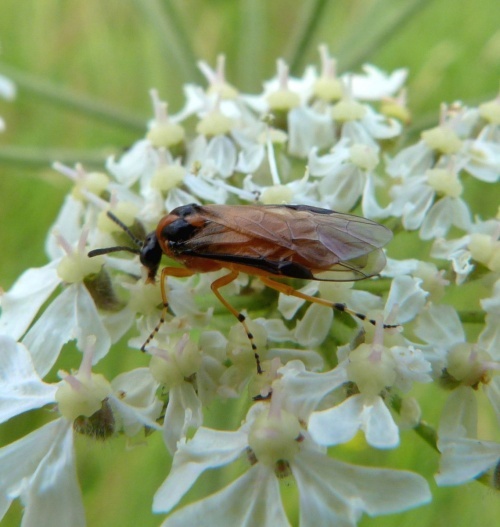 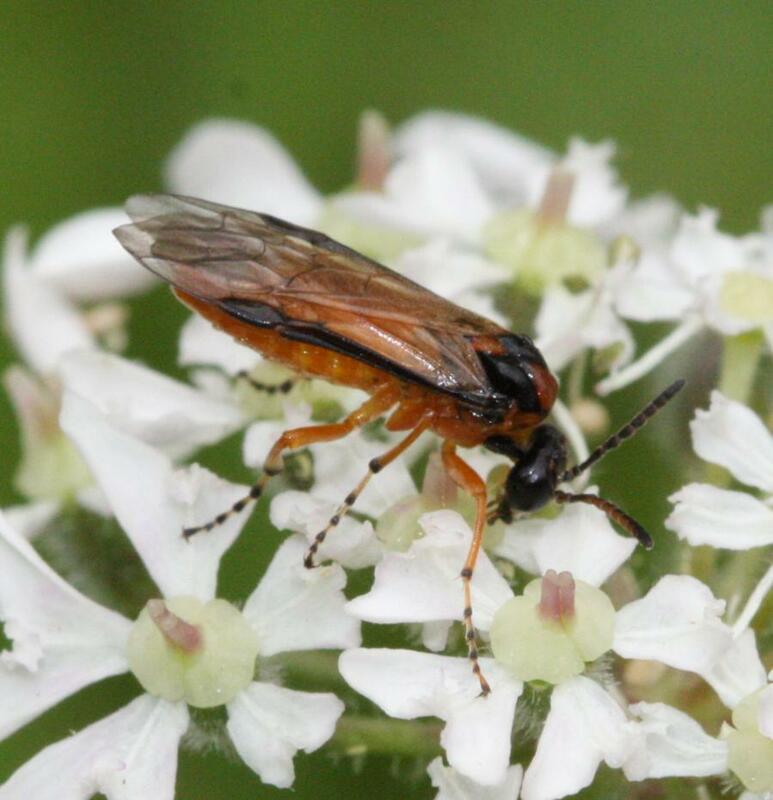 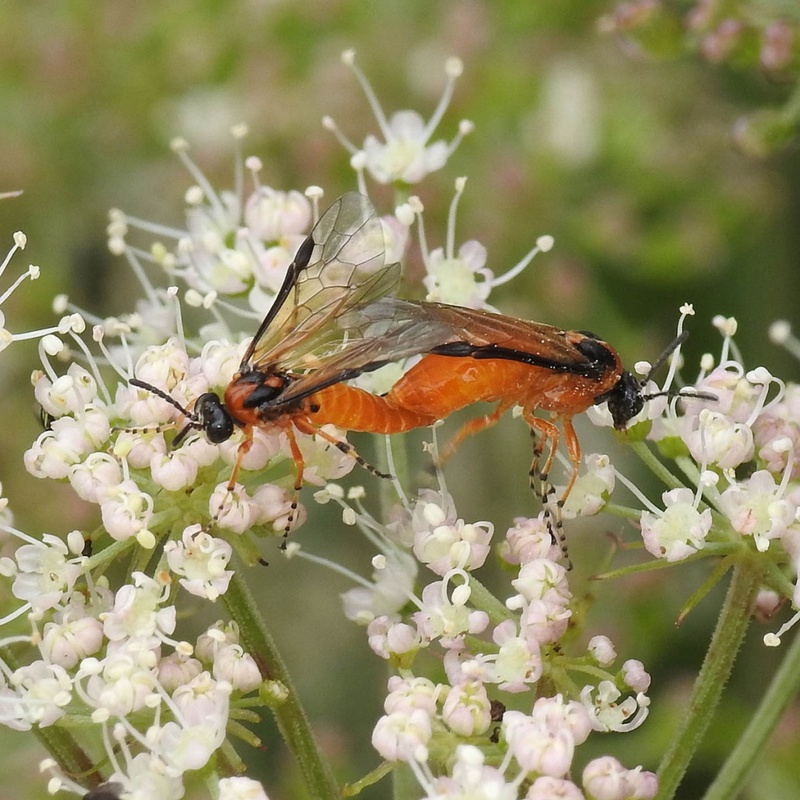 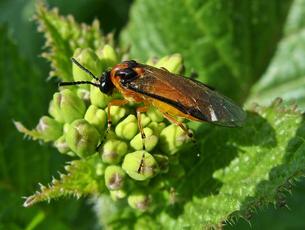 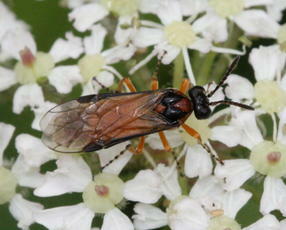 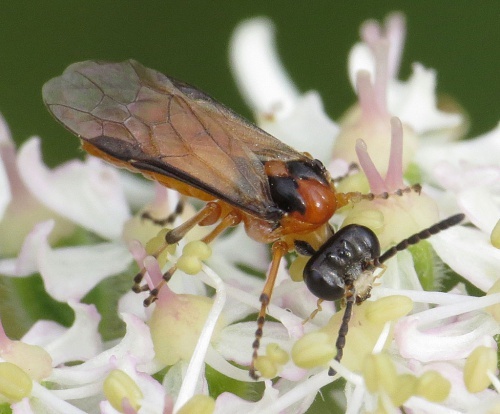 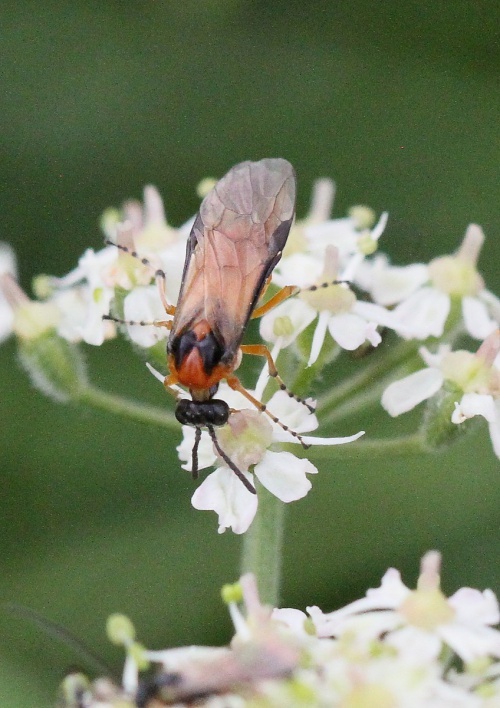 The adults feed on nectar visiting a range of flowers, often cruciferous plants and umbellifers. 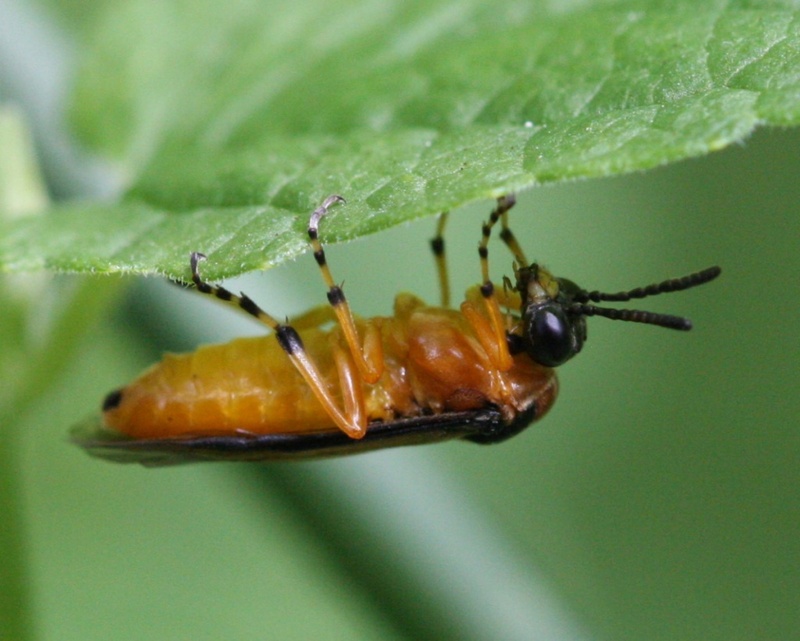 Larva are dark greeny-grey, or almost black (18-25 mm). The larva overwinters in the ground in a cocoon. 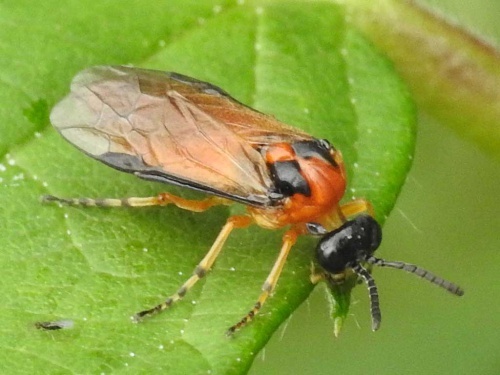 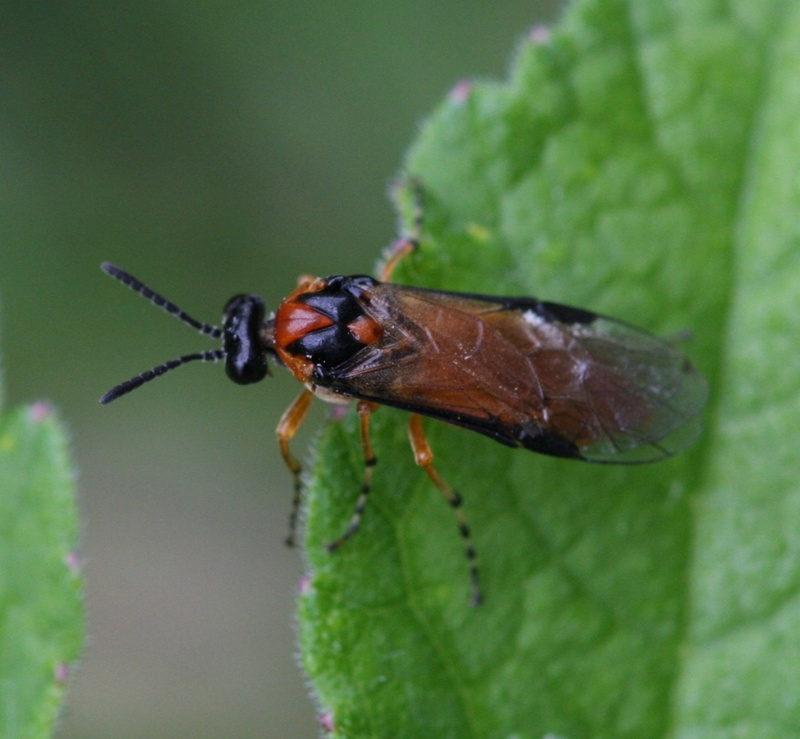 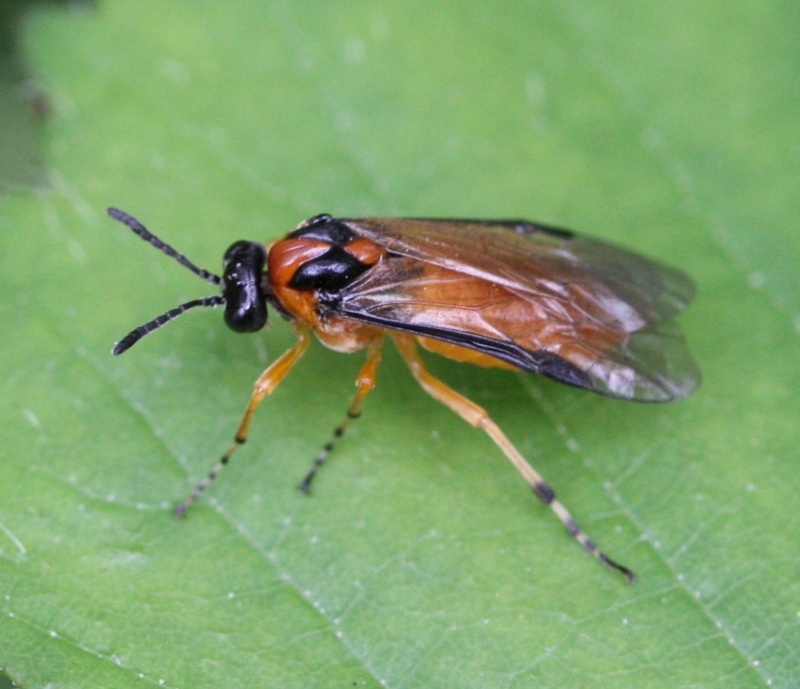 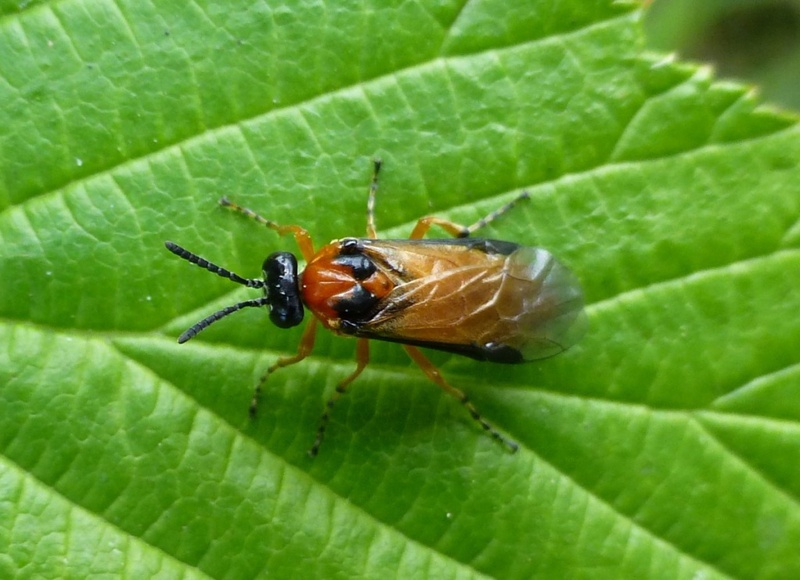 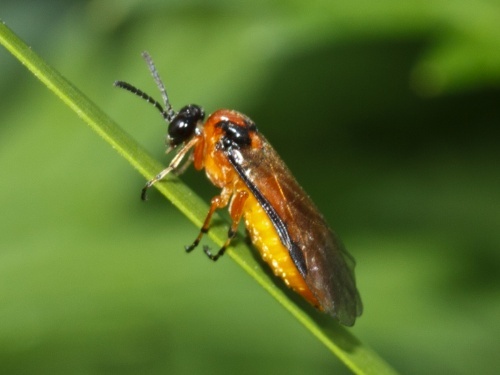 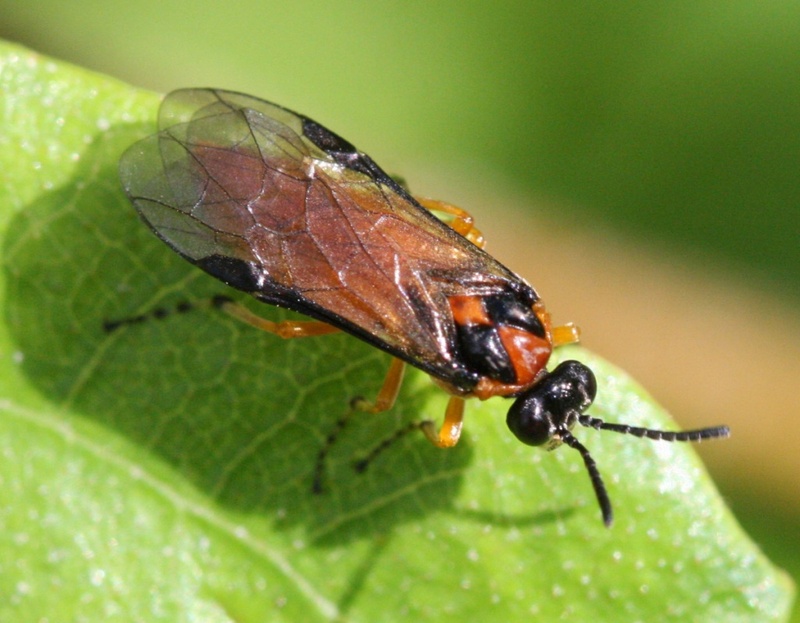 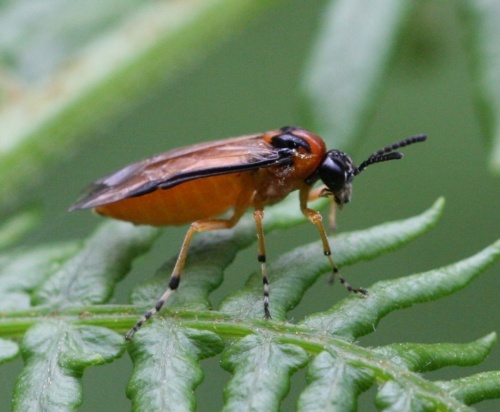 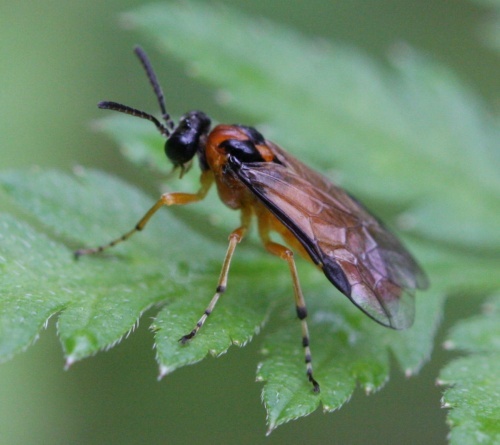 It feeds on cruciferous plants where it can be a pest. Although thought to be fairly common, most British records are from the south.